As you emerge from the UFC Fight Night London fog make sure you don’t step on MMA rumors along the way. With MMA entering a period of free agency frenzy, it has not seen since maybe 2012, if ever, the rumor mill is pumping at an unforeseen pace. The money backing behind promotions like Bellator, ONE FC and rise of the Russian MMA scene has given the power back to fighters looking for a free market in 2017. Carry the one, divide it by seven then multiple that number into a new Sunday Morning Rumor Mill equation and the result will be perhaps more of your favorite UFC fighters weighing their options in 2017. You really should not still be hungover from any sort of St. Patrick’s Day drinking escapades but if you are take a nap then hydrate yourself with a soothing liquid version of your Sunday Morning Rumor Mill. 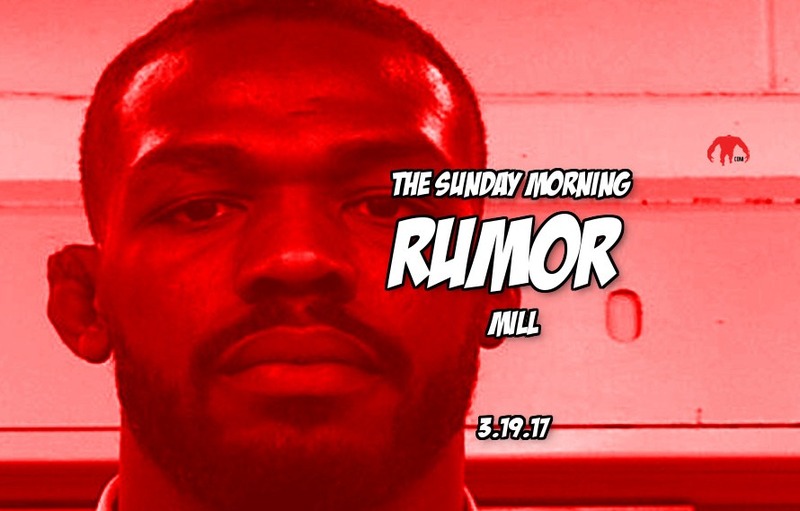 Huge if true but rumors are coming out of New Mexico that Jon Jones may be in trouble again. Sit down if you heard this before but rumors are that the former UFC champ may have fallen back into old habits that could back to bite him before his cage return.